Even the wealthiest heirs can run afoul of the law and commit an alleged assault without putting too much thought to their behavior. Such was the case with Anheuser-Busch heir William Busch, who got a little too close to the action at his son’s basketball practice recently. It seems Busch’s son and a teammate got into an altercation, and Busch stepped in to break up the fight and ended up allegedly committing assault in the process. A 58-year-old Busch allegedly grasped an 11-year-old student and threw him into a wall of the gymnasium at Chaminade College Preparatory School in Creve Coeur, according to St. Louis Police reports. Bystanding parents separated the two immediately following the incident. The 11-year-old victim claimed he was not injured in the scuffle. Busch, who is the great-grandson of Anheuser-Busch original brewmaster Adolphus Busch, was issued a citation for fourth-degree assault. Busch claims he intervened only after school officials failed to break up the altercation, and that his son was “bullied – actually sucker punched” by a much bigger middle school student. The victim’s father claimed Busch’s son initiated the aggression, and said school officials reacted quickly to diffuse the incident, which included removing Busch and his son from the premises. The victim claims Busch’s son pushed him two or three time, and showed him a closed fist. After the older boy slapped the smaller Busch, Busch the father approached the older boy, cussed at him, and collared him. A St. Louis social worker contacted law enforcement following the incident, which school-security cameras also captured. Busch, who has no involvement with the Anheuser-Busch brewery operations, has had other run-ins with law enforcement, including a 1981 fist fight outside of a bar in which he bit off another man’s earlobe. Busch claimed the other man started the fight. This is a great question because we often hear about rich and affluent people who have had brushes with the law, who got tossed in jail like businesswoman Martha Stewart and Italian billionaire Silvio Berlusconi, and then those who merely get a tap on the wrist and never see jail for their alleged crimes, like football star O.J. Simpson and politician Ted Kennedy. In 2013, we also heard of the case of a 16-year-old Texas youth, who did not get sentenced to jail after killing four people in a drinking-and-driving related car accident. The Texas judge, claimed the youth suffered from “affluenza,” which is a psychological disorder that supposedly affects wealthy young people. The case and the resulting verdict resulted in national outrage. The symptoms of affluenza include a lack of motivation, feelings of guilt, and a sense of isolation. Incidences such as those of the young Texas boy, who got probation instead of 20 years in jail, are rare. But, as we have all seen, there are sometimes unusual criminal defense strategies that are victorious, or judges who do not issue the punishment sought by the prosecution. At some point we all let our emotions get the best of us and lash out in anger. Unfortunately, sometimes as a result of our anger we cross line from being law abiding citizens to perpetrators of assault and other crimes. If you’ve been charged with assault or battery, then you need a legal counsel that will give you the best chance for redemption, reduced charges, or dismissal of all criminal charges. Don’t wait; let our Westminster Criminal Defense Attorney at Griffin Law Firm begin building the strongest defense case for your matter right away. To schedule a free, no obligation consultation, call (303) 963-9297 today or contact using the contact form on this page. 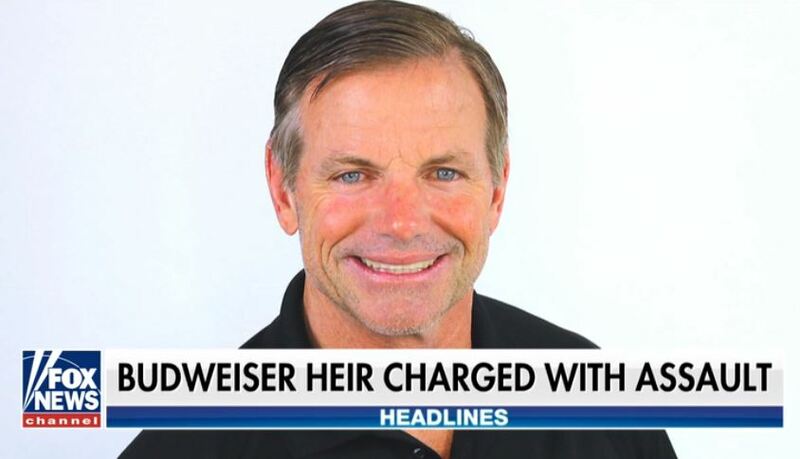 1“Anheuser-Busch heir accused of assault at son’s practice” published in Fox News, March 2018. 2“Do Rich People Get Off Easier When They Break the Law?” published in The New York Times, Dec. 2013.